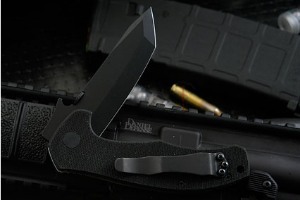 Description: Ernest Emerson is a pioneer and leader in tactical knives - both custom and production. The Mini Roadhouse BT features the wave opening feature and a stone wash premium 154CM stainless steel blade. 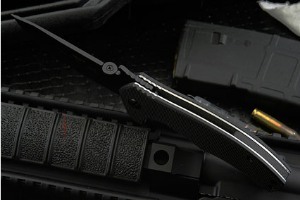 Emerson's patented Wave opening feature allows the knife to be opened with one hand while it is drawn from the pocket. 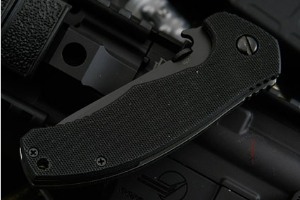 The pocket clip is mounted for tip up carry. A filed thumb rest on the liners and blade spine provide a secure grip. A thumb disc mounted on the spine is used for easy right- and left-hand opening. The Mini Roadhouse is the little brother to the Roadhouse. 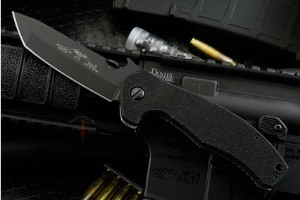 It has a modified tanto blade with a swedge on the tip. 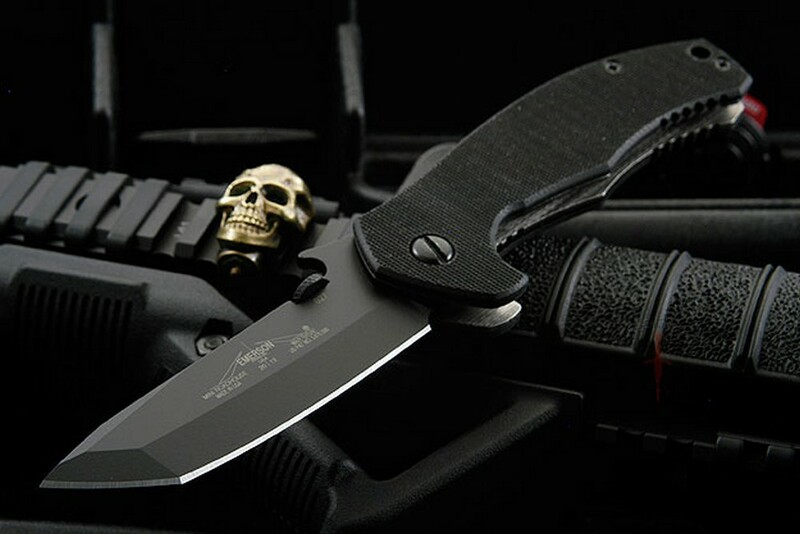 This knife features striking, coarse, black G-10 handles holding a dramatic black Teflon coated blade that is precisely ground on both sides, giving you a razor sharp edge. 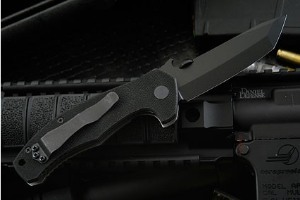 The blade features a conventional V grind with an asymmetrical edge. Lanyard hole in the handle. Solid liner lock design. 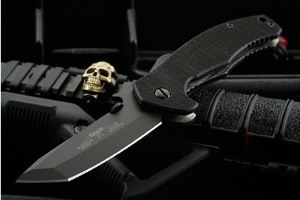 BladeConnection.com is proud to be an authorized Emerson Prestige Line retailer. 0.044921875 0.044921875 44.921875 44.921875 Header Started.